Providing your leaders and managers with the skills they need to face the challenges of leading your organization in today’s competitive global marketplace. 88% of CEOs surveyed in the Economist’s research report, “Why Good Strategies Fail” indicated that executing the company strategy is critical for organizational competitiveness and success over the next few years. However, 61% of the same respondents acknowledge a big gap between strategy formulation and its day-to-day implementation. The number-one reason for this gap? Leadership. At Advantexe, we believe that Leadership is equal to the execution of your business strategy. Developing leadership skills is critical to both the short- and long-term success of your company. 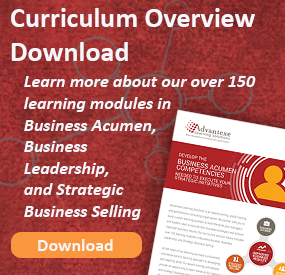 Our comprehensive, end-to-end learning journeys incorporate interactive business simulations to expose your learners to didactic and thought-provoking content, discussion modules, and experiential learning activities. These award-winning solutions provide an in-depth introduction to the theory, methods, and issues of business leadership in a corporate environment. We help you to develop your leaders so they can build and sustain a high-performing organization that provides a healthy return to your investors and offers a challenging work environment filled with opportunities. At the heart of every leadership program, we incorporate one of our "best practices" business simulations. This type of simulation provides participants with the opportunity to learn the best practices and behaviors related to a specific model or set of desired competencies. 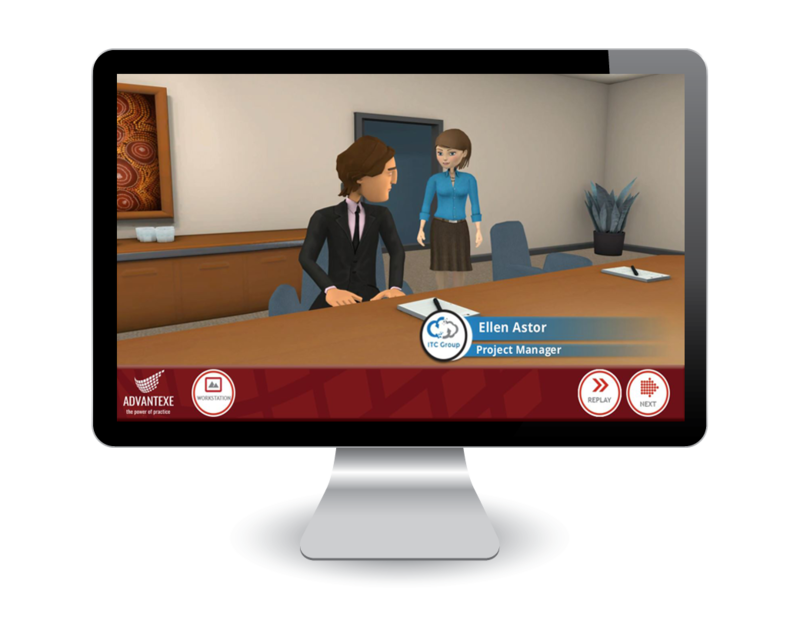 In a group, participants assume the role of a simulated character and they must weave their way through a decision-tree storyline by making decisions, reacting to events, and interacting with virtual colleagues and employees. At the conclusion of every simulation round, groups receive extensive feedback on their decision-making and are provided with numeric scores based upon achieving desired metrics of the simulation. Frame leadership in the context of your strategy and the needed competencies to implement the strategy. Develop the "emotional" awareness to understand the impact of words and behaviors on others. Introduce the concepts and variables of personality styles, giving participants the tools to assess styles, identify needs, and adjust communication accordingly. Discuss behaviors behind effective leadership and the best ways to interact with and support direct reports and team members. Develop the communication skills to effectively engage in healthy conflict instead of avoiding conflict. Build the skills to influence effectively in a matrix organization. 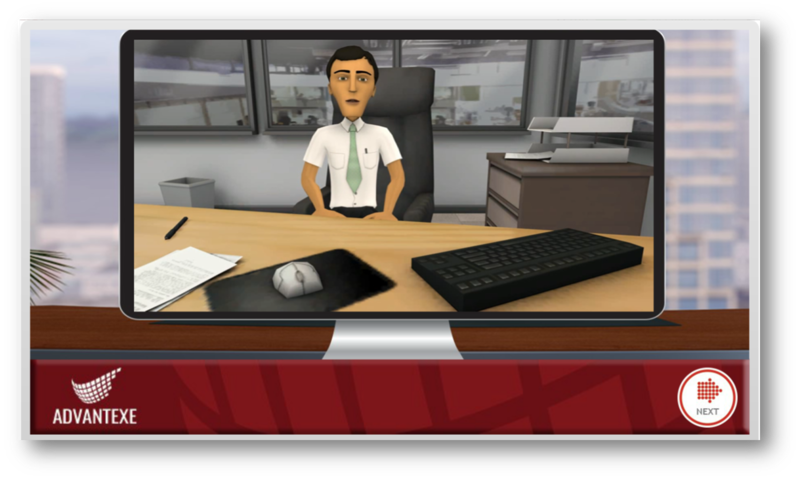 Learn how to deal with people and performance issues and give appropriate feedback. Gain an appreciation for diversity (cultural, generational). Advanced Business Leadership Programs for directors and executives. "I did not really have a true understanding of how to measure our strategy using financial performance and metrics. As a result of this program, I now have the knowledge to better understand the bigger financial picture of our company."